“If love is really love, it doesn’t waffle when it’s not received the way you want it to be. If love can be told to quit loving, then it’s not really love. 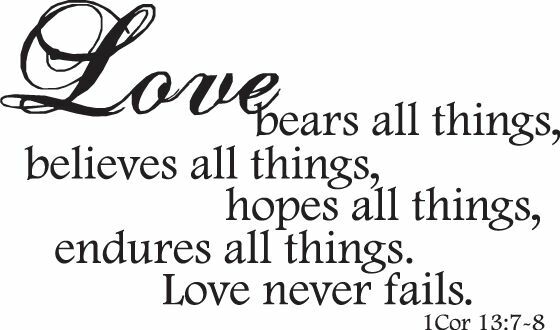 Love that is from God is unending, unstoppable. If the object of its affection doesn’t choose to receive it, love keeps giving anyway. When you have done everything within your power to obey God, your spouse may still forsake you and walk away – just as Jesus’ followers did to Him. But if your marriage fails, if your spouse walks away, let it not be because you gave up or stopped loving them. 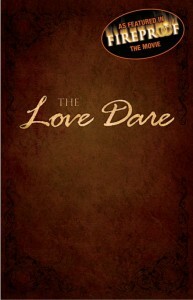 So today your dare is to put your unfailing love into the most powerful, personal words you can. This is your chance to declare that no matter what imperfections exist – both in you and in your spouse – your love is greater still. No matter what they’ve done or how often they’ve done it, you choose to love them anyway. Though you’ve been far from steady in your treatment of them over the years, your days of being inconsistent in love are over. You accept this one man or woman as God’s special gift to you, and you promise to love them until death. This is your chance to declare that no matter what imperfections exist – both in you and in your spouse – your love is greater still. Last week we sat in church behind a young couple with 2 young children. She has terminal cancer. And on the other side of them was a man whom we know through our kids sports. He attends church each week alone, with his kids but without his wife who is not a believer. I think our bickering and challenges are pointless compared to both of their struggles and I thank God those are not burdens he’s asked us to carry. Amen? I’m going to write my love letter now. Because I never want my love to fail this marriage. How are you doing? Has it been easy? Struggling? 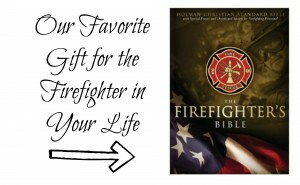 Big question for the fire wives…..also being discussed in our private group, Only one more day to go. I know this dare has changed some lives. Let’s share our successes as an encouragement to others and a celebration of your dedication to your marriage. 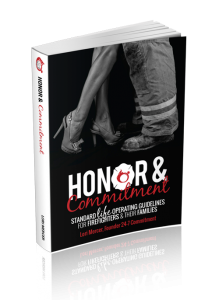 Please share your thoughts, challenges, successes and encouragement for everyone participating in The Love Dare in any of our available communities: The FirefighterWife and our 24-7 Commitment Fire Family Life Pages on Facebook, or in our Private Online Communities, The Fire Wife Sisterhood for women and the 24-7 Commitment Honor Guard for men. Support is invaluable!